Test your angling skills in the most authentic fishing simulator ever made. Feel the adrenaline rush of landing a trophy largemouth bass and the thrill of fighting huge carp and monster pike with Fishing Sim World! Explore two vast USA bass lakes set in Florida and upstate New York and five European locations, including France’s famous Gigantica Main Lake and a challenging stretch of the UK’s Grand Union Canal. Go after eighteen different species of fish with hundreds of items of equipment including licensed tackle from some of the biggest names in fishing, such as Bass Cat Boats, Rat-L-Trap, Duckett Fishing and Korda. Fish at your own pace and find your perfect setup, then challenge yourself to land the best catch. 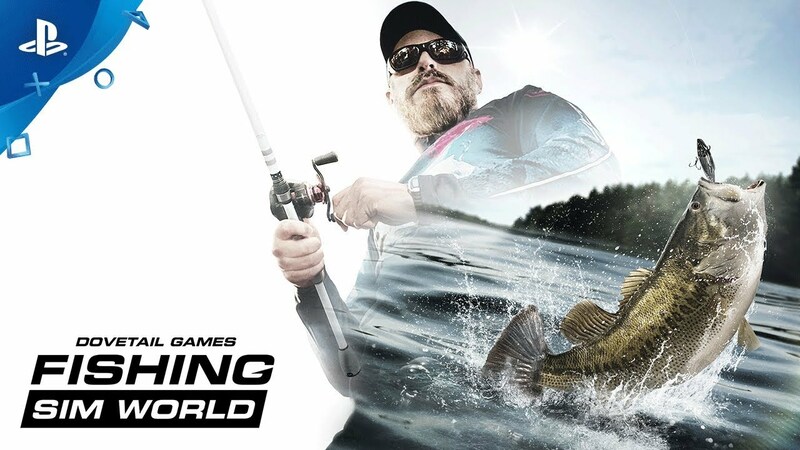 Fishing Sim World reflects the competitive element of this great sport, allowing you to take part in live tournaments against opponents from around the world with the aim of becoming a Fishing Sim World champion! Players can also opt to fish with friends in 4-player multiplayer, comparing catches on real-time leaderboards. © 2018 Dovetail Games, a trading name of RailSimulator.com Limited (“DTG”). All rights reserved. "Dovetail Games" is a registered trademark of DTG. Unreal® Engine, copyright 1998-2018, Epic Games, Inc. All rights reserved. Unreal® is a registered trademark of Epic Games. Portions of this software utilise SpeedTree® technology (©2014 Interactive Data Visualization, Inc.). SpeedTree® is a registered trademark of Interactive Data Visualization, Inc. All rights reserved. Grand Union Canal is represented with permission by the Canal and River Trust. All other copyrights or trademarks are the property of their respective owners. Unauthorised copying, adaptation, rental, re-sale, arcade use, charging for use, broadcast, cable transmission, public performance, distribution or extraction of the product or any trademark or copyright work that forms part of this product is prohibited. Developed and published by DTG.